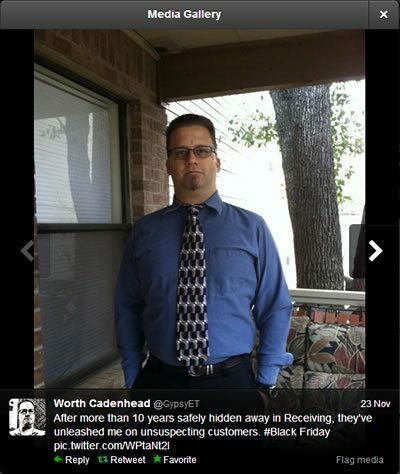 One day, Worth “E.T.” Cadenhead decided to follow us on Twitter. It must’ve been a really slow news day because I asked if he’d like to do an interview on the site. Well, it turns out this resident Texan motorcyclist and motorcycle dealership worker is a little more interesting than his profile mug shot makes him seem! Worth: I’d love to, but I really can’t because I was so young I can’t remember it. I was sitting between my uncle and the gas tank of his Honda Dream 305. Worth: I know I said the bike in my post was the same as his, but I’m pretty sure the Super Hawk and the Dream shared the same motor and frame. YM: Right… Any other early motorcycle memories? Worth: I have fuzzy, vague memories of other bike rides, stretching across the tank to hold onto the bars, being both scared and excited when he’d lean the bike to turn. YM: Ultimately, what became your first motorcycle? Worth: A 1978 400cc Hondamatic, in what I believe Honda called “Tahiti Red” or something like that. I called it orange. I rode the hell out of that thing, and nearly destroyed it from a total lack of maintenance knowledge, but I bet it’s still plugging along today somewhere. Or gathering dust in somebody’s garage. I’d actually love to get ahold of that bike again. Did I mention that the same uncle who gave me my first bike ride also sold me my first bike? It started me on a life of riding and bikes. 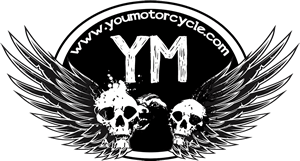 YM: Ever been motorcycle-less? Is that even a word? Worth: I’ve never been without a bike since. They haven’t always been in the best running condition, but I’ve always owned at least one. YM: What’s this shop i hear about on twitter? Currently, I work for a multi-brand dealership in Austin, TX. Woods Fun Center. I’m in Parts and Accessories. Come see us sometime. YM: Will do. Speaking of, what’s been the most fun? Worth: Wow. For such a seemingly simple question, it really kind of digs deep. Two dozen years of riding, and “what’s been the most fun?” The early days are particularly memorable. I bought the bike while on leave between two different training stations while in the Navy. I flunked my license test the first try (dropped the bike – oops), and left my parents’ house in Atlanta, GA headed to Pensacola, FL two days after I passed the test. As a result of my early days of riding involving a lot of strong coastal crosswinds, riding in windy conditions has never bothered me. Most fun roads? Tail of the Dragon, for sure – although that may have been more fun on a different bike than my 883 Sportster with lowered rear suspension. Tennessee and northern Georgia and northern Alabama have some fun and beautiful back roads. YM: How ’bout close to home? Worth: I’ve lived in Texas for over twenty years now, though, and it really does have everything you could want, in terms of roads. I’m lucky enough to live just east of the Texas Hill Country, which has some of the absolute, hands-down, best riding on the planet. And for a little over twenty years, I’ve ridden with what has become my second family: the Gypsy Motorcycle Club (http://www.gypsy-mc.org/). Always a good time with my brothers and sisters. YM: What do you ride now? After spending most of life on cruisers and old UJMs, I kind of had a midlife crisis and bought “Suzi”, a 2003 Suzuki SV1000 naked right before I turned 39. I know, the sport bike guys will turn their noses up at it, but for me and most people I know, it’s basically a crotch rocket: 101 hp and a hair over 400 pounds. So, that’s why I call Suzi my midlife crisis. She had 21555 miles on her when I picked her up in Dec ’07, and I proceeded to put that many of my own miles on in less than a year. I just turned 85000 miles, and she’s been rock-solid dependable the whole time. Only one problem that wasn’t a wear item. Granted, she’s overdue for a few maintenance procedures, but I bet she’ll feel brand new once I take of those. YM: Those are some serious miles, way to go! Any other future motorcycle-related plans? Worth: I’ll keep riding until I can’t hold up a bike any more. Then I’ll look into a third wheel. I’ll keep flying my colors, too. I’d like to make it back to Deal’s Gap, and also do some more riding in the Blue Ridge Mountains area. Maybe also head west and check out California. Wouldn’t mind visiting some desert areas and places like Utah and Idaho – I’ve never seen that terrain in real life before. Could be fun. Also, I’d like to get back onto a cruiser type bike again, mainly for comfort and travel. I’d still keep the SV, though – I plan to never get rid of her. YM: Any parting words of wisdom? Worth: Ride like half of ’em can’t see you and the other half want you dead. Thanks for taking the time out to answer more questions than a jealous lover could ever ask. I wish you all the best with your not-sportbike. Two finger wave to you and the Gypsy Motorcycle Club, Worth!